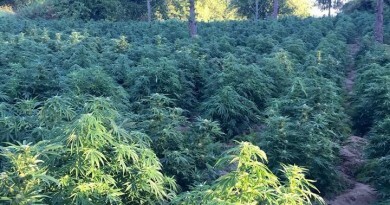 A massive illegal outdoor grow in Wheeler County, Oregon, drew attention to the existence of Mexican-run cartel grows in states that recently legalized marijuana. Several agencies, eradicated thousands of plants in what appeared to be a cartel grow. 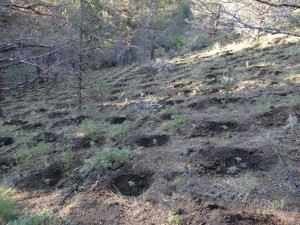 May 3rd, 2016 – Wheeler County, OR – In a joint effort between the Wheeler County Sheriff’s Office, Oregon State Police, and the Central Oregon Drug Enforcement Team, an illicit outdoor marijuana grow was eradicated in southern Wheeler County. Over 8000 marijuana plants were recovered along with other evidence. The illegal grow was located by a Wheeler County resident who immediately reported it to the Sheriff’s Office. The Wheeler County Sheriff’s Office would like to remind everyone who recreates on both private and public lands to be mindful of anything suspicious that they may observe. 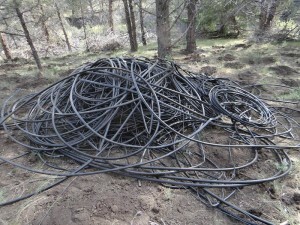 The Central Oregon Drug Enforcement Team advises that such things as propane tanks, large amounts of black irrigation piping and fertilizer bags may all be indicators of an illegal marijuana grow. Anyone with information about a suspected illegal marijuana grow should contact the Wheeler County Sheriff’s Office at 541-763-4101. Sheriff Chris Humphreys, Wheeler County, Oregon. 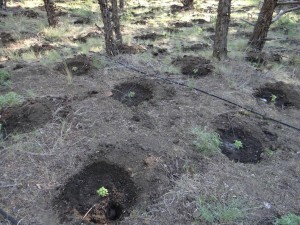 Although some people dispute the ability to grow outdoors at these elevations, as Robert Peterson said in the Deschutes Commissioners meeting Tuesday, May 2, 2016 cartel grows like this have been found in Central and Eastern Oregon for years. 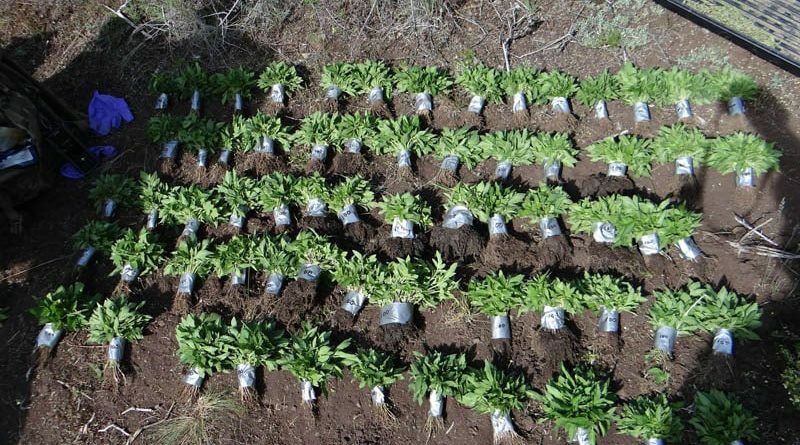 In 2011, a massive cartel grow of 91,000 plants was found on U.S. Forest Service public lands in a remote section of northern Wallowa County. ations in check. These grows are one of the the reasons we passed Measure 91 in 2014. People need to report these grows, which are obviously not legal, and let the Sheriff determine the action to take. Even a responsible licensed commercial grow will notify neighbors and be permitted by the State and County, so the Sheriff’s department is aware of what is legal or illegal. 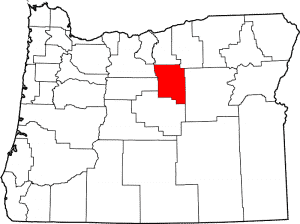 Wheeler County, Oregon…Why would a drug cartel choose Wheeler county? The 2010 Census pegged the county’s population at just over 1,400! ← What Do Marijuana, Nazis, Pelican Bay, Enemas, Alpacas, Geese, Owls, Corso Dogs, and Lavender Have in Common?…A Tumalo Oregon Resident’s Mind!